Sarlat the geographical centre of Périgord-Quercy, is by far the most important tourist site in the region Over a million visitors discover or re discover this medieval jewel every year. This town of 10,000 inhabitants today occupies top spot in terms of tourists and culture. Although this is basically a cultural town, industry is also represented, mainly by food processing firms, many of which produce foie gras. This foie gras, one of the most highly rated in France has contributed to the great culinary reputation of the Périgord in general and the town in particular. Although it has one of the largest medieval urban areas (13th to 16th centuries) in the world, Sarlat cannot claim a very distant past. The initial Sarlat abbey was most probably founded between 820 and 840 AD by Duke Pepin of Aquitaine. Saint Bernard stopped off in Sarlat in 1147 during his journey through the South of France to spread the gospel to the many Cathars. The plague was predominant at the time. He gave the sick consecrated bread to eat and healed them. This event, this miracle even was commemorated by the building of the strange graveyard lantern which, still today, remains one of the towns symbols. Lost in the heart of the distant Périgord, Sarlat could have sunk into oblivion if it was not for the Malraux Act of 4th August 1962. Perhaps the minister of culture (Andre Malraux) recalled having taken to the macquis (The name given to some French Resistance groups during World War Two) in the heart of the Sarlat woodlands, when he signed the act of renovation and restoration. The works carried out from 1964 onward have revealed a veritable treasure trove of Medieval and Renaissance art to the public. Tourists and film directors then took charge of bringing this corner of the Earth “which is the closest things to heaven” according to Henry Miller, to the attention of the whole world. The 1978 film version of “Les Miserable” was filmed extensively in Sarlat, but also in nearby Domme, with the stunning Beynac Castle standing in for the famous Toulon Jail. Sarlat’s wonderful architecture and medieval style buildings and stone roofs have made a backdrop for a score of other top motion pictures since, which has added to it’s fame an it’s fortune. A warren of alleyways, virtually unchanged since the middle ages, lined with warm ochre stone houses, each with its own distinctive facade and ornately sculptured window embrasures, set off by the stone roofs and turrets, make Sarlat a must for any tourist visiting the Dordogne. Sarlat’s Saturday market is excellent, teaming with life, an unforgetable experience from the street artists that throng there, to the wonderful fresh local produce. Sarlat comes to life in summer with its Drama Festival and Film Festival as well as non-stop street shows in the old quarter. 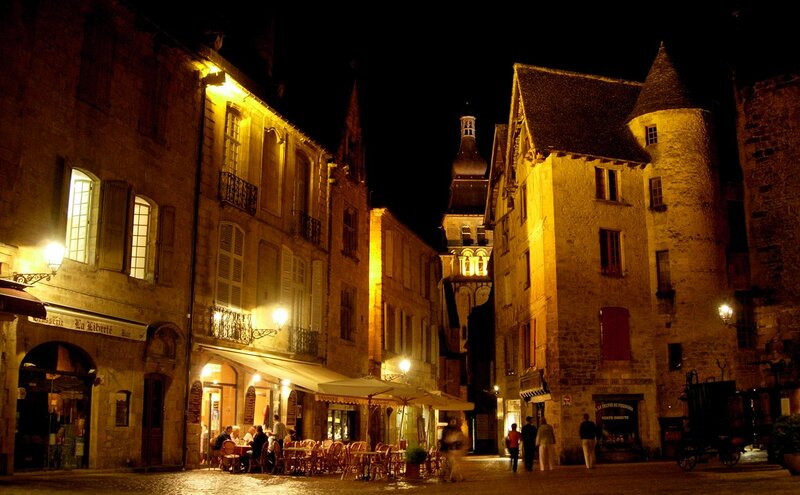 Sarlat is an artists paradise with many small galeries including the famous “Herdin”, student of Salvador Dali. Out of season there is also a well packed programme of cultural events, concerts, drama, films (often in the original language), a visit at Christmas is like stepping into a Fairy Tale, with piped christmas carols and Santas scaling buildings everywhere, there truly is something for everyone. Looking for accommodation in Les Eyzies? B&B Ferme de Tayac, lovely 12th Century buildings, once monastery and farm. Its one meter thick walls, oak beam structures, and rooms carved out of the rock, make it a wonderful place to stay whilst you explore this fascinating part of the Vezere Valley. Your stay will be enhanced by the friendly hospitality and homely comfort offered by your hosts Suzanne and Mike. 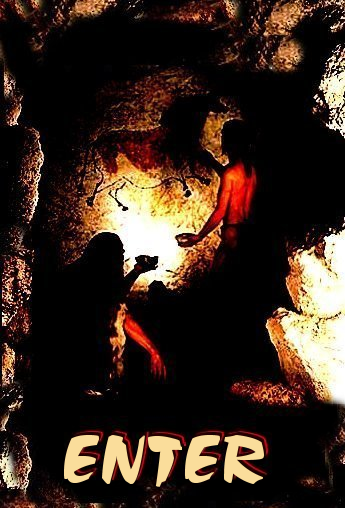 You will enjoy the pleasant garden, the refreshing swimming pool, and maybe the occasional five minute stroll into Les Eyzies, famous as the “Prehistoric Capital of the World” It is here that Cro Magnon man our ancestor made it one of the richest and most exciting of archaeological areas.